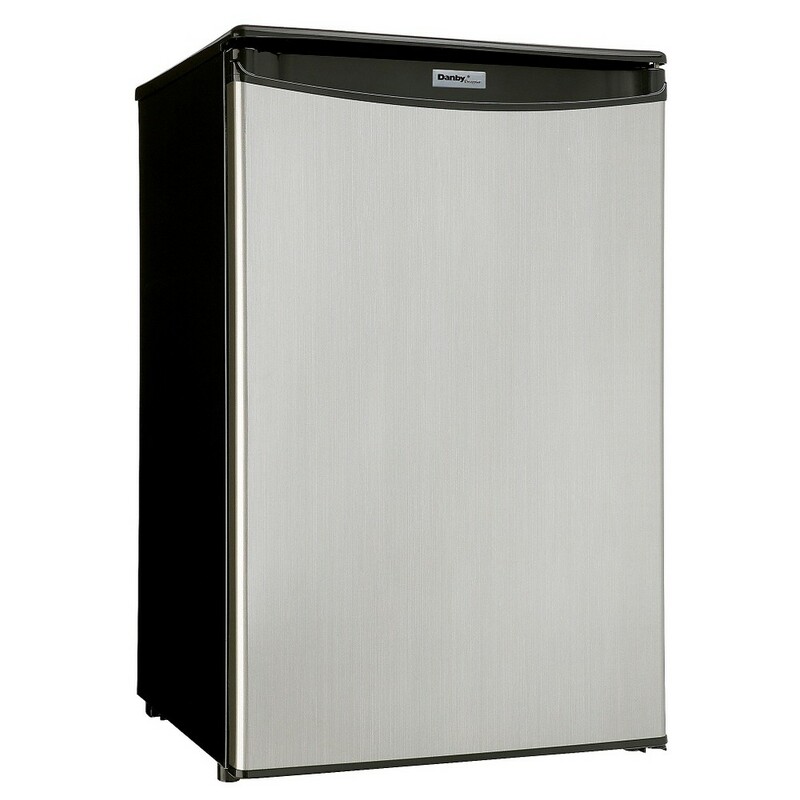 The Danby Silhouette Professional DAR055D1BSSPR Energy Star All Refrigerator will add an elegant touch to your kitchen, wet bar, or entertainment room. With a spacious 5.5 cu. ft. capacity, LED interior lighting, tempered glass shelves and 2-liter bottle storage, this all-refrigerator is the perfect place to store beverages and chill hors d'oeuvres. Designed for either built-in or freestanding installation, it features a smudge-resistant stainless steel wrapped door. Plus, Energy Star efficiency saves you money!Energy Star efficiency (278 kWh)|Refrigerator with roomy 5.5 cu. ft. capacity|For built-in or freestanding installation|Smudge-resistant, easy-clean, stainless steel wrapped door|Digital thermostat with easy-to-read LED display|Programmable temperature between 35ºF-50ºF (2ºC-10ºC)|Energy efficient bright white LED lighting|3 adjustable tempered glass shelves|Integrated door shelves provide extra storage| danby| silhouette| professional| energy| star| rated| certified| indoor| all| refrigerator| led| lighting| smudge-resistant| smudge-free| smudge-proof| stainless steel Package Contents: outdoor refrigerator|manual|warranty This item cannot be shipped to APO/FPO addresses We do NOT provide any installation services nor removal of old appliances. Delivery for large items is curbside only. 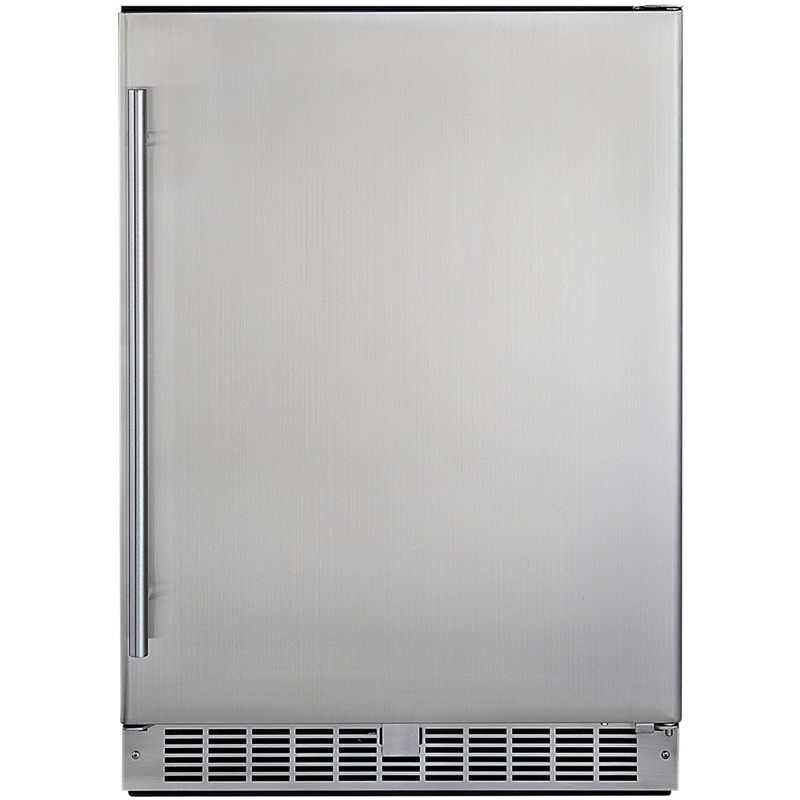 The Danby Silhouette Professional DAR055D1BSSPRO Energy Star Outdoor All Refrigerator will add an elegant touch to your outdoor kitchen. With a spacious 5.5 cu. ft. capacity, LED interior lighting, tempered glass shelves and 2-liter bottle storage, this all-refrigerator is the perfect place to store beverages and chill hors d'oeuvres. Designed for either built-in or freestanding installation, it features a smudge-resistant stainless steel wrapped door. 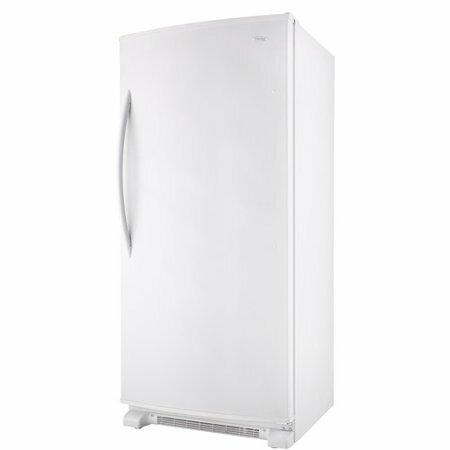 Plus, Energy Star efficiency saves you money!Energy Star efficiency (278 kWh)|Outdoor refrigerator with spacious 5.5 cu. ft. capacity|For built-in or freestanding installation|Smudge-resistant, easy-clean, stainless steel wrapped door|Digital thermostat with easy-to-read LED display|Programmable temperature between 35ºF-50ºF (2ºC-10ºC)|Energy efficient bright white LED lighting|3 adjustable tempered glass shelves|Integrated door shelves provide extra storage| danby| silhouette| professional| energy| star| outdoor| rated| certified| all| refrigerator| led| lighting| smudge-resistant| smudge-free| smudge-proof| stainless steel Package Contents: refrigerator|manual|warranty This item cannot be shipped to APO/FPO addresses We do NOT provide any installation services nor removal of old appliances. Delivery for large items is curbside only. 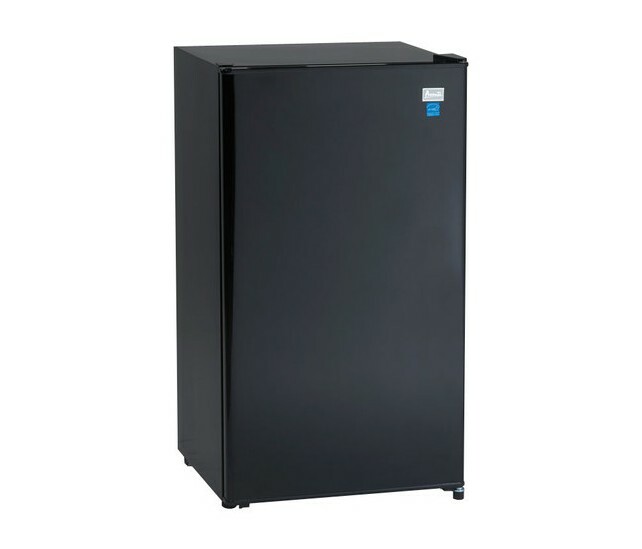 2 CU FT ALL REFRIGERATOR� BLACK� APAV321B Feaures: 3. Beverage Can Dispenser Holds up to Five 12 oz. 2 Liter Bottle Storage on the Door. Door Bins for Additional Storage. Space Saving Flush Back Design. Reversible Door - Left or Right Swing. Equator-Midea 2.4 cu.ft. 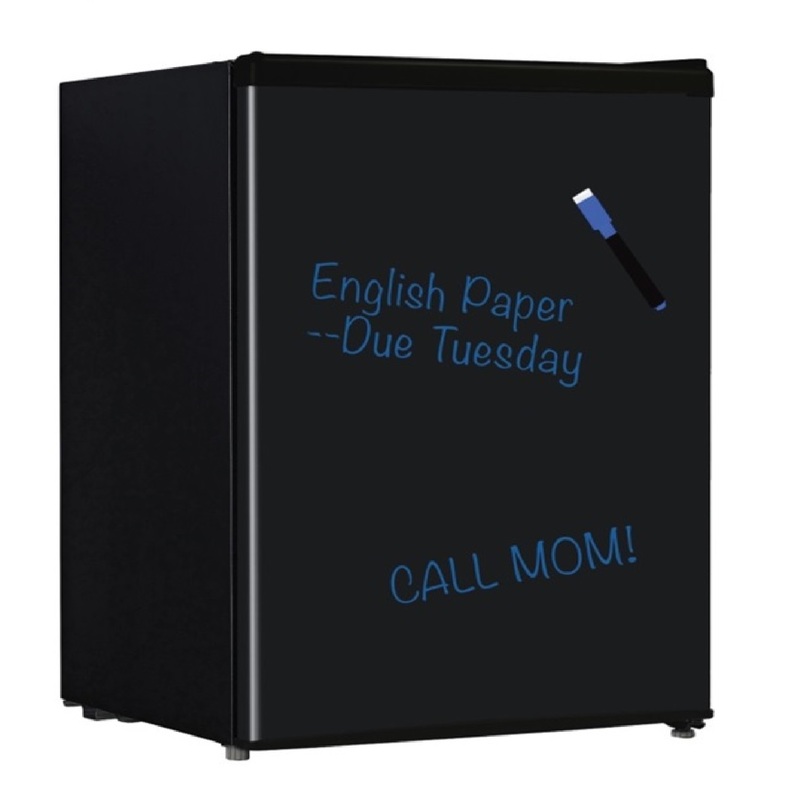 Compact Refrigerator, Chalkboard We do NOT provide any installation services nor removal of old appliances. Delivery for large items is curbside only.